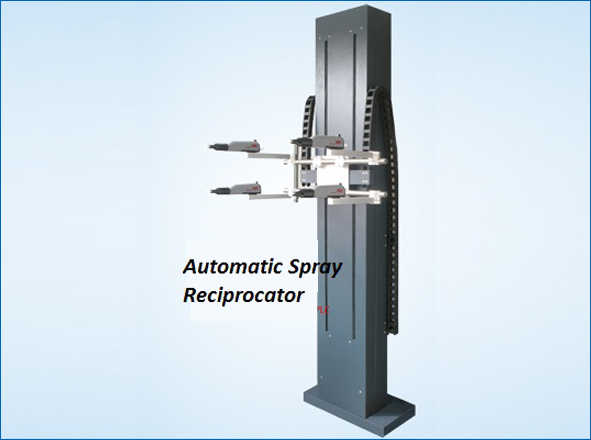 Integrated Automation & Robotics also offers Auto Spray Reciprocators, which are designed as per the Process quality standards. These Spray Reciprocators are suitable for meeting the varied industrial requirements in the most promising manner. can be edited, stored, and called. Step less speed in movement and different speed in every sub-section. Smooth movement and low noise. High Production Spray painting units. Uniform spraying paint on moving on conveyor, rotating, or stationery objects. Precise controlled Speed & Stroke Length.